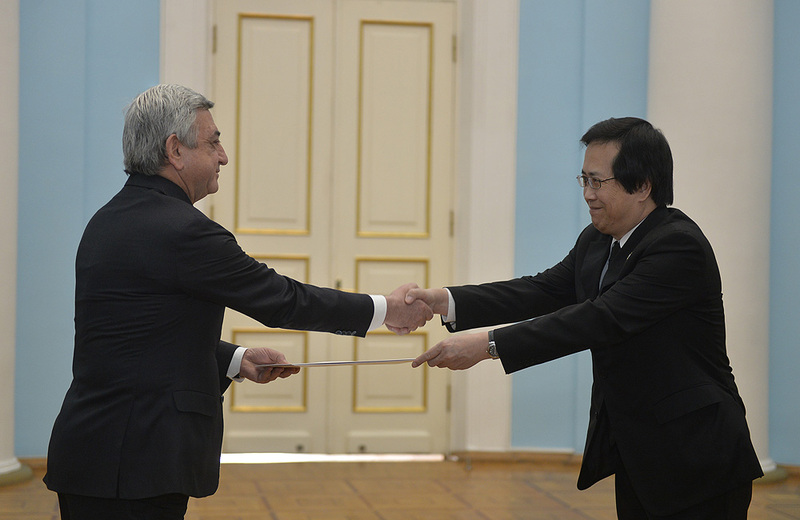 Today, the newly appointed Ambassador Extraordinary and Plenipotentiary of the Kingdom of Thailand to the Republic of Armenia Kriangsak Kittichaisaree (residence in Moscow) presented his credentials to President Serzh Sargsyan. The President congratulated the Ambassador on his appointment and wished him success in the execution of his diplomatic mission in our country. 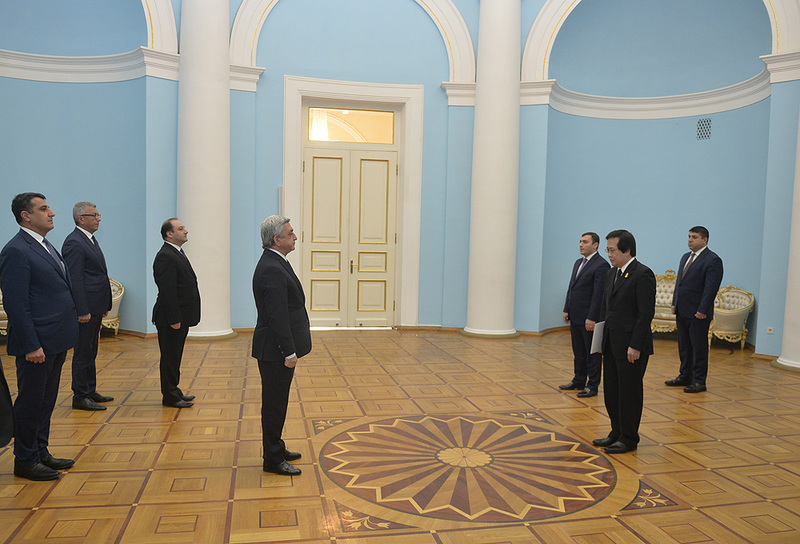 Underscoring that the relations, which were established after Armenia regained independence and which are based on the historically strong Armenian-Thai ties, continue to develop in the same spirit, the President nevertheless stressed the importance of giving a new impetus to the cooperation, considering the great potential which exists in different areas and the created opportunities. Ambassador Kittichaisaree noted that he has already had a number of meetings in Yerevan aimed at taking vigorous steps for the strengthening of the Armenian-Thai trade and economic relations and establishing a mutually beneficial cooperation in a few prospective areas such as jewelry making, tourism, agriculture, pharmaceuticals, and others. 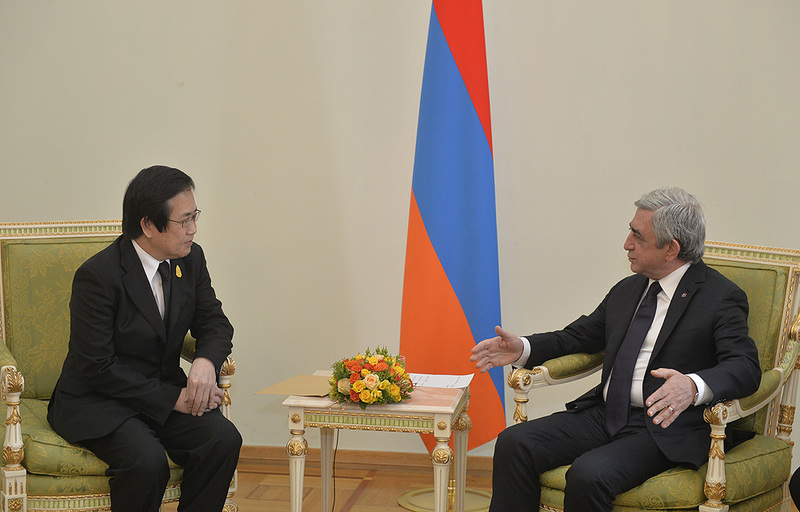 The President of Armenia and the Ambassador of Thailand spoke with satisfaction about the interaction of the two friendly states in the framework of international organizations. The Ambassador of Thailand noted that his country is interested in developing cooperation with the Eurasian Economic Union and with this regard anticipates also Armenia’s, as a member of the Union’s, support.